I have followed the helloword tutorial on http://kubernetes.io/docs/hellonode/. I get: The connection to the server localhost:8080 was refused - did you specify the right host or port? Why do the command line tries to connect to localhost? gcloud container clusters get-credentials "CLUSTER NAME"
Reproduce the same error when doing a tutorial from Udacity called Scalable Microservices with Kubernetes https://classroom.udacity.com/courses/ud615, at the point of Using Kubernetes, Part 3 of Lesson. Fetching cluster endpoint and auth data. kubeconfig entry generated for alpha-cluster. Reinitialising gcloud with proper account and project worked for me. After this retrying the below command was successful and kubeconfig entry was generated. gcloud container clusters get-credentials "cluster_name"
But if you run this as a regular user, you will get "The connection to the server localhost:8080 was refused - did you specify the right host or port?" when trying to access as a root user and vice versa. So try accessing "kubectl" as the user who executed the above commands. This errors means that kubectl is attempting to connect to a Kubernetes apiserver running on your local machine, which is the default if you haven't configured it to talk to a remote apiserver. Aha! I'd been playing with Cassandra in a docker container and I'd forwarded all the ports since I wasn't sure which it needed exposed and 7001 is one of its ports. Stopping Cassandra, cleaning up the mess and restarting it fixed things. Then I just execute below command and found everything working fine. Starting local Kubernetes v1.10.0 cluster... Starting VM... Downloading Minikube ISO 150.53 MB / 150.53 MB [============================================] 100.00% 0s Getting VM IP address... Moving files into cluster... Downloading kubeadm v1.10.0 Downloading kubelet v1.10.0 Finished Downloading kubelet v1.10.0 Finished Downloading kubeadm v1.10.0 Setting up certs... Connecting to cluster... Setting up kubeconfig... Starting cluster components... Kubectl is now configured to use the cluster. Loading cached images from config file. 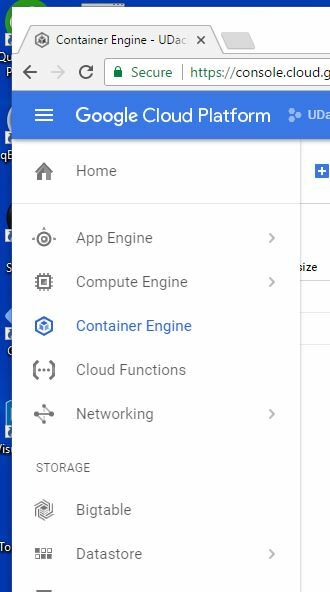 PS C:> .\minikube.exe start Starting local Kubernetes v1.10.0 cluster... Starting VM... Getting VM IP address... Moving files into cluster... Setting up certs... Connecting to cluster... Setting up kubeconfig... Starting cluster components... Kubectl is now configured to use the cluster. Not the answer you're looking for? Browse other questions tagged kubernetes or ask your own question. Connection refused with kubectl on EC2 ubuntu instance? Kubernetes setup in Redhat Linux - The connection to the server localhost:8080 was refused - did you specify the right host or port? Minikube: kubectl connection refused - did you specify the right host or port?